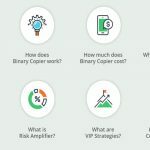 TopOption is a Cyprus based company affiliated with the larger Markets.com, and they are gaining a lot of popularity as far as binary options brokers go thanks to this. But with so many other brokers out there right now, are they really one of the top brokers? We put together this TopOption review to help you answer this question. Our goal is to help point you in the direction of the best broker for you and your unique set of needs. Whatever you decide, it’s important to keep in mind the risk that is associated with binary options trading. As a trader, it is your job to keep your own safety in mind. A good broker will help you to do this with more ease, but it’s still something that you need to take charge of and ensure for yourself. TopOption allows traders to open up an account right from their homepage. You will need to supply your name, your email address, a password, your country of origin, and a phone number. Before you create an account, be sure that this is a broker that you are serious about pursuing. Traders from the United States are not permitted to open up an account or trade at TopOption due to regulatory constraints. This broker is regulated by CySEC and only allows those that live within the European Union to utilize their broker services. CySEC is one of the most well known binary options regulators out there, and they are a respected governing body in the world of trading. TopOption has a wide variety of trade types available. 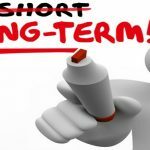 In addition to the standard call and put options, TopOption offers ultra short term trades, and they are one of the handful of brokers that offer 30 second binary options right now. They also offer above and below trades, which are very similar to boundary trades. These types of trades are a lot harder to be successful with, but as a result of this, TopOption offers you a higher rate of return on every successful trade you make here, just like you would find with a high yield trade at another broker. Their touch and no touch trades also fit into this category. For most trades, the minimum amount you can risk at this broker is $5 per trade. In addition to the trades that they offer, TopOption has a variety of “add ons” that some traders might find helpful. These include rollovers, double-up options, buy out choices, insurance policies, and customizable options. These work well as risk management tools when utilized in moderation. It’s important that you know how to use these tools thoroughly if you do decide to use these so they are working for you and not against you. TopOption offers options in stocks, indices, commodities, and various currency pairs from the Forex market. They currently have about 180 different assets that are up for trading. There is a heavy focus on currency pairs here, which makes sense. 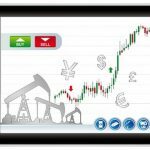 A lot of the traders that use TopOption have a background in the Forex marketplace, and it is good marketing on this broker’s behalf to keep the asset choice attractive to this particular audience. TopOption also has many U.S. based stocks. Although they don’t allow traders from this part of the world, this is the biggest stock market there is, so using stocks from the United States also helps them to not only appeal to a wide number of traders, but it helps them attract traders that might not find their asset of choice at another broker. TopOption has some tools in place to help their traders be successful. One of the simple ways that they do this is with their in depth educational section. Traders can click on the “Resource Center” tab at the top of the page and explore all of the tools that TopOption has to offer. This includes an economic calendar, their FAQ section, e-books, and the TopOption Academy. 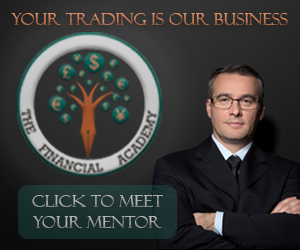 At the academy, traders have access to a number of different webinars, video lessons, access to trading indicators, and other materials. There’s also a blog where news events are discussed, along with their economic impact. 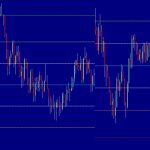 However, because many of these occurrences are time sensitive when it comes to helping you improve your correct trade rate, it’s important that you take advantage of your own tools if you plan on trading the news successfully. TopOption also has a section available to their traders that revolves around risk management. It isn’t an exhaustive section by any means, but they are one of the few brokers out their that actually addresses the concept of protecting yourself while trading directly. Our TopOption review team was very impressed by this feature, but it is only helpful if you are able to use it correctly. Just keep in mind that no matter which tools you are given, the risk of losing money cannot be taken away completely. Educational tools are a great way to improve your skills, but trading is still risky. Having a good broker on your side may help you to alleviate a small portion of this risk, and you should stay clear of any broker that does not encourage you to trade in as profitable of a manner as possible. Does TopOption fit this description for you? Hopeful this TopOption review will let you know. After you’ve created an account, the next step is for you to fund your account. The minimum accepted qualifying deposit is $100 USD, 100 euros, or 100 pounds sterling. You can use a credit card, an e-wallet, or a wire transfer to fund your TopOption account. Once you’ve funded your account, you can begin trading right away. Our TopOption review found that credit cards were the fastest way to get your account funded as the money shows up in your account instantly. When it’s time to withdraw your funds, you will need to have your funds sent to the same source that you made your initial deposit with. If you used an online wallet, your withdrawal will go back into that same account. If you used a disposable credit card, this can be problematic. Be sure to think this through before you make your initial deposit. If you have any questions about banking through TopOption, you should get in touch with their customer service team. You can contact them by email at [email protected] or by phone. They have a number of different local phone numbers that you can use to save yourself the international phone call fees. Another strong feature of TopOption is the fact that they do not charge withdrawal fees on most transactions. TopOption has some great tools at their traders’ disposal, but they are certainly not for everyone. We found a lot of great features at this site, but the only way to really know if this is the right broker for you is to look at it yourself. If you still have questions after reading our review and looking over the TopOption website, consider using a demo account. 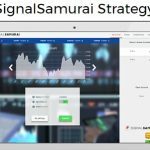 This will help you get a feel for what trading at this site is like in real time. 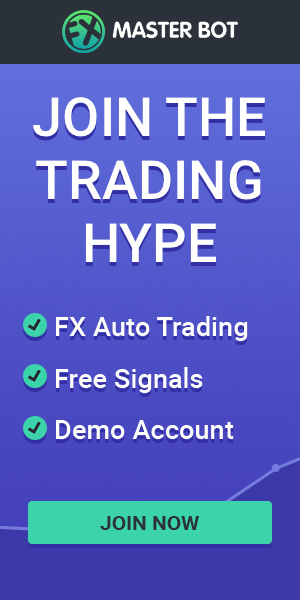 You will need to make a qualifying deposit to gain access to this, but you don’t have to actually risk your money until you’ve used the demo account. If you decide it’s not for you, you are welcome to withdraw your funds.